The Republic of Austria has recently opened an honorary consulate in Orlando to service the Central and North East Florida areas. “Florida is a fast-growing state with many Austrians retiring there,” explained Martin Kraemer, Consul General for the Austrian Embassy in Washington, D.C. “Orlando’s status as the world’s number one tourist destination and the fastest growing city in the States made it important for us to service the needs of Austrians traveling in the area, as well as Austrian companies looking to do business with local firms,” he added. Austria has chosen local property investor, Toby Unwin, to be their Honorary Consul. 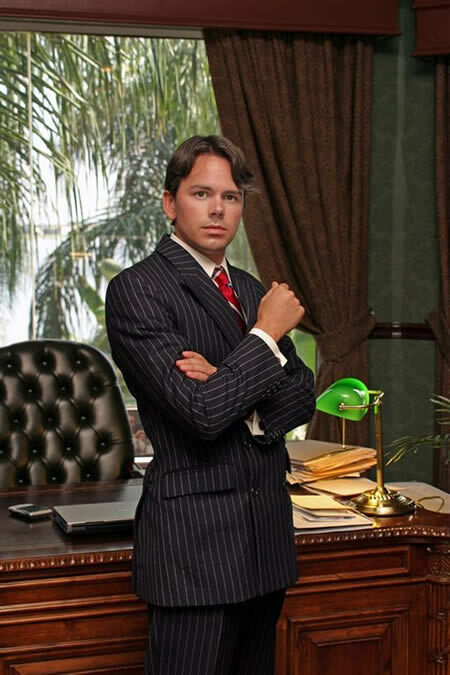 He holds a Doctorate in Business Administration from Trinity College, Delaware, and owns developments throughout Florida. In addition, Unwin is a best-selling author and accomplished aviator, holding a world airspeed record. He also founded one of Europe’s profitable Internet companies, NetSearch, and is a United Nations Affiliate, serving as an Internet Strategy Consultant. Toby Unwin is married to Julie Ann Baker, who holds a B.A. in Economics from Rollins College, Florida, and worked in cost control at Universal Studios before they met. They have one son. The new honorary consulate is located in the Dr. Phillips area of Orlando, Florida. One of its main responsibilities will be to support the local Austrian community. The consulate will be hosting a party at the end of October attended by the Austrian Ambassador to the United States, Eva Nowotny. She will meet with important members of the Central Florida community.